I don’t know how Santa Claus did it. Somehow, in the midst of delivering all those presents, he’s managed to get the rep of needing a plate of cookies when he arrives at your house. Whether it started with parents and their sweet tooths or an older tradition, the idea of leaving cookies and milk out for good ol’ Kris Kringle has stuck. I’m not mad about it. That’s actually one of the traditions I love. However, you may be wondering why I’m talking about Santa in April. Well, with Easter upon us it has me thinking…. what about the Easter Bunny? He’s big. He’s fluffy. He gives out Easter baskets. Wouldn’t he like some cookies too? So, Easter Bunny, this post is for you. This basic sugar cookie recipe is great for any occasion. The dough calls for less than 10 ingredients and can be made up to 3 days in advance. Just remember, it does need to chill for at least 1 hour! I love these cookies because they aren’t overly sweet but still provide satisfaction to a sugar craving; I could eat them in the morning with coffee or after dinner for dessert, but then again, that’s how I like to enjoy most sweets. The royal icing is also relatively simple and only requires 3 ingredients. When making the icing, you will want to prepare piping frosting as well as flooding frosting; the main difference between the two is their thickness. The piping frosting should be used first to line the edges of the cookie and is what will prevent the flooding icing from running off the sides; the piping frosting is also used to add designs to the cookies. The flooding icing, as the name suggests, is more fluid and can be used to add the base color to the sugar cookie. If you’re confused and want to dive more into icing, Sweet Sugarbelle does a great job detailing the process. Now that you know the basics, let your creativity abound. Happy frosting, friends! 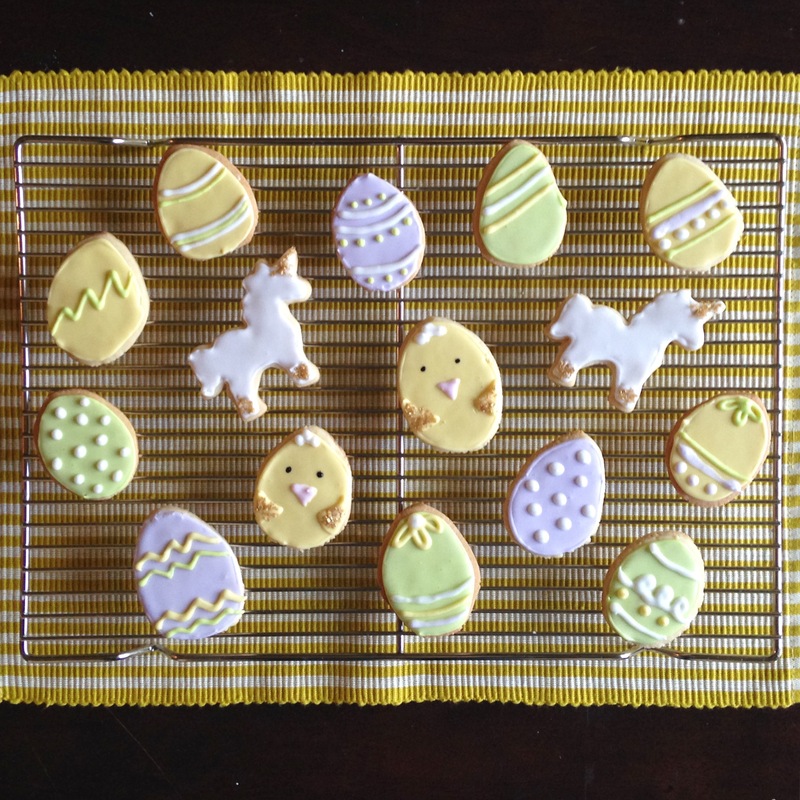 This entry was posted in Cookies, Desserts and tagged baking, cookie, dessert, easter, from scratch, frosting, holidays, homemade, piping, royal icing, sprinkles, sugar by whiskandasmile. Bookmark the permalink.